The Jewish community in Bethlehem is presently a year-round community. It becomes larger in the summer, from June to September when the Hassidic community comes to visit. Jews began arriving in Bethlehem in the early 1900’s. People came from New York, Boston, New Jersey, Connecticut and other large areas. In the beginning, they came for relief from hay fever, asthma, and other respiratory ailments. At that time, Bethlehem was recommended as a pollen-free haven. The earliest record of the organization of the Bethlehem Jewish population is a listing of donors who contributed to the purchase of a Torah (biblical scroll). These arrivals stayed in local hotels, rented cottages and rooming houses. Some purchased or built their own summer homes. These owners became permanent summer residents. One of the earliest records of a Jewish presence in Bethlehem occurred in 1910 when Isidor and Sadie Lusher bought the Altamonte Hotel. Bethlehem’s climate provided relief to thousands of New Yorkers. By 1923, five of the smaller hotels catered to the Jewish clientele. By 1956, the number had increased to over a dozen and included the major hotels, the Sinclair Hotel, and the Maplewood Hotel. Others were the Perry House, Park View, Alpine, Strawberry Hill, and the Howard House. Worship services were held in a store on Main St. or wherever space could be found. Eventually, a building on Strawberry Hill St. was purchased. This building was originally the Protestant Episcopal Church. It became known as the Bethlehem Hebrew Congregation and opened in 1928 or 1929. A kosher butcher store and grocery store were opened to serve the group’s dietary needs. In 1938, a group of women formed the Sisterhood of the Bethlehem Hebrew Congregation. This group became a source of community activities and fundraising. Funds were raised for the BHC and local institutions such as the Littleton Hospital. Local hotels cooperated in fundraising, including the Sinclair Hotel, Howard House, Strawberry Hill Hotel, Park View, Perry House and Maplehurst. Doctors were sending patients to Bethlehem for hay fever relief before the 1920’s. The Hebrew Hay Fever Relief Association was established in 1919, initiated by Jews of Bethlehem because of restrictions on Jewish participation in non-Jewish camps. It described itself as nonsectarian. In the 1950’s the name was changed to the National Hay Fever Relief Association. 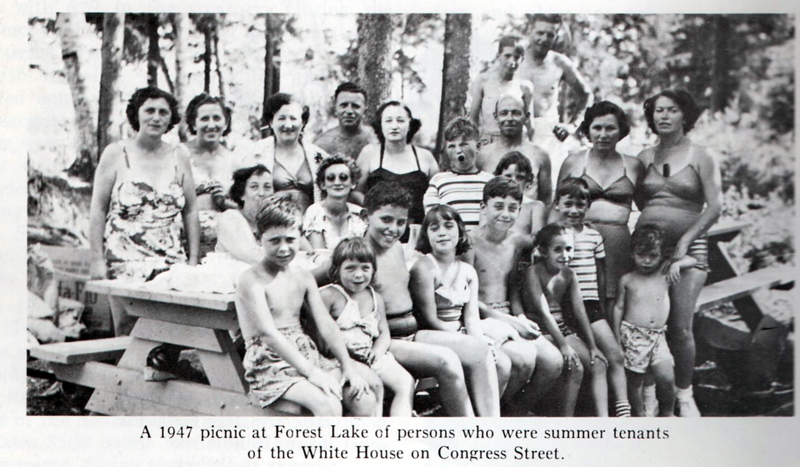 A summer camp for the organization was established, located on RT. 142, and attended by children from New York City. By the 1980’s the grounds and buildings were for sale. The discovery of antihistamines and the use of air conditioning no longer made Bethlehem as attractive for hay fever sufferers as it did in previous years. An important part of the Jewish community is the remembrance of the deceased and the maintenance of good relations with the non-Jewish community. In 2006, a Jewish cemetery was established in Bethlehem. Jews always made an effort to become part of the community of Bethlehem. Many of the staff working at the Jewish-owned hotels (Sinclair, Park View, and Perry House) appeared in fundraisers for the Catholic Church at the Maplewood casino. Bethlehem also attracted an Ultra-Orthodox group known as Hassidim. They began coming in the 1950’s, staying at several rooming houses. The group formed their own synagogue in town. 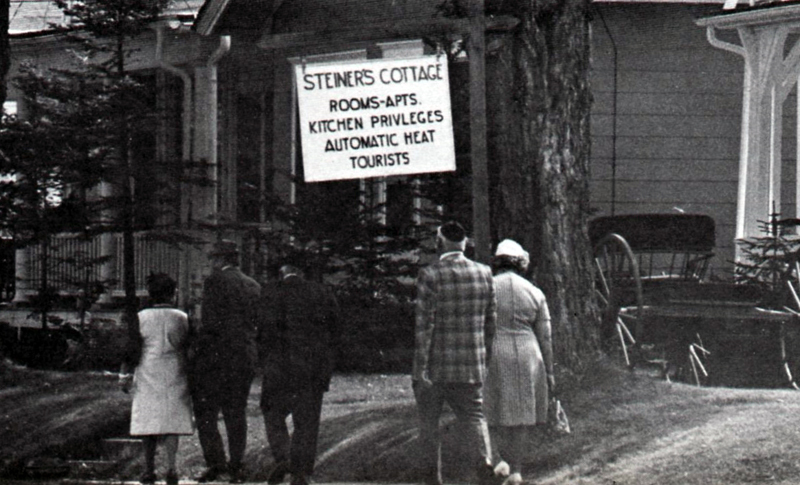 They eventually purchased several of the old remaining hotels and cottages. Today most of those hotels are gone, burned or torn down, but the Hassidic community still visits to enjoy the beautiful area. The last hotel owned by the Hassidim was the Arlington Hotel. It was recently torn down to make way for a new Arlington Hotel. Bethlehem continues to attract vacationers of the Jewish community. The Bethlehem Hebrew Congregation is open year round. They come to relax and enjoy the White Mountains and the surrounding community. Bethlehem New Hampshire, A Bicentennial History-1999 edition, ed.by Gregory C. Wilson and Mike Dickerman. Littleton, NH: Bondcliff Books. Ward, Elizabeth Anne. Images of America-Bethlehem. Charleston, SC: Arcadia Books, 2000. My uncle tells me that my great-grandfather, Abraham Jacob Siegeltuch, was the first rabbi in Bethlehem, N.H. He brought allergy sufferers there from the Lower East Side during the summer, prior to 1920. I have a picture of him, but no supporting information.